Used for centuries on the Moluccas Islands, Macassar Oil, a true beauty pack, restores vigour and shine to hair. It strengthens the hair, increases its beauty and provides in-depth nourishment, leaving it soft and voluminous. Apply Macassar Oil on dry hair, massage carefully before shampooing. 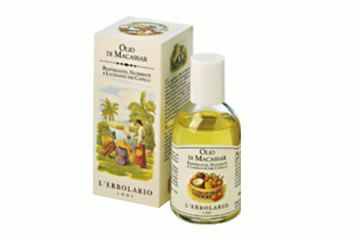 The Macassar Oil is then always rinsed out with the greatest ease. Applied before sunbathing and swimming in the sea, it is ideal for protecting the hair on the beach.